If your garage door is off its frame or your overhead door only opens half the time, these are signs you need a new door. The team at Felluca Overhead Door knows that ignoring these problems can leave your car and property vulnerable to theft. Their knowledge comes from more than 80 years of experience providing Rochester residents with reliable and affordable garage door installation, repair, and replacement services. Door Won’t Open Or Close: If your garage door is constantly jammed, there could be an electrical shortage between the door and the control panel. Faulty wiring could be to blame for the breakdown. A garage door repair specialist can replace the entire system, including the control panel, door, and even the garage door opener if needed. Loud Noises: Garage doors make a bit of noise when opening and closing. If the sound becomes loud and excessive, the opener bracket or garage door springs might be broken or rusty. In this case, call a garage door specialist to examine the problem. High Energy Bill: Your garage door needs electricity to work. If there is a problem with the system, it will use extra power to try and perform normal functions. This extra effort could result in an increase in your energy bill. A garage door specialist can install a new, energy- efficient garage door. Slow Response Time: If it takes forever to open or close the garage door, there could be an issue with the garage door opener or some other component in the system. Uneven Movements: If the door shakes when you try to open or close it, there could be broken parts in the system that are forcing the uneven movements. If the problem persists, the garage door could collapse. Door Opens & Closes On Its Own: You should be able to open the door with a garage door opener. If you have to manually open the door or if it opens and closes without prompting, bad tension springs could be the culprit. A professional can examine the system to pinpoint the exact problem. If your garage door is broken beyond repair, Felluca Overhead Door is standing by to provide a durable replacement. 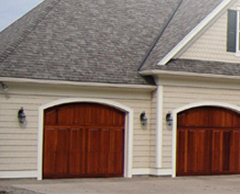 The professionals at Rochester's leading garage door repair company have a solid reputation for providing fast, reliable work at an affordable price. They pride themselves on customer satisfaction and handle all the work themselves to make sure the job is done right. The company boasts a large inventory of products, including Wayne Dalton and Clopay garage doors, which guarantees you will find the right replacement for your garage. To schedule an appointment for garage door repair or replacement in Rochester, call (585) 467-2391 or visit Felluca Overhead Door online to learn more about their services.